Looking for private in-home or in-studio Japanese lessons? Our Frisco teachers are ready to get you started. Find your teacher today! I'm a native Japanese speaker here to help you learn Japanese. 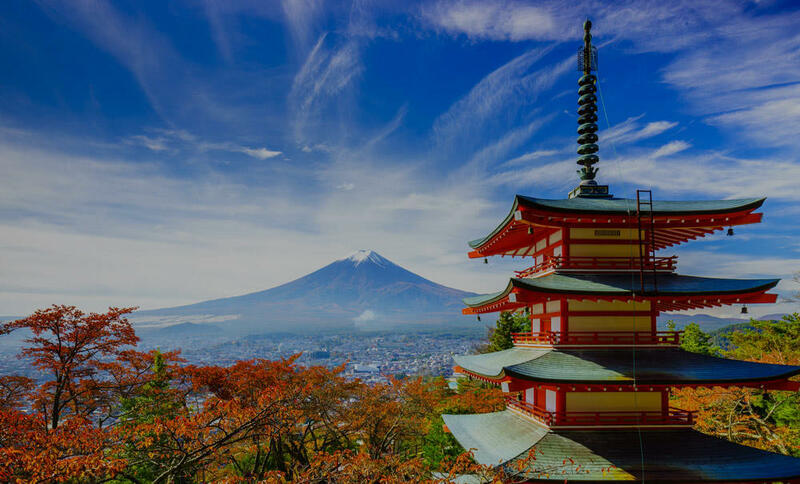 My aim is to help you gain not only the Japanese skills but also the cultural awareness to help you navigate in situations in which you need to use Japanese. I approach my lessons with customization that is only possible in private teaching. I teach students of all ages who are able to take at least 6 months of my lessons. I look forward to making contribution to your learning. Hello. I am a native Japanese speaker from Kobe. My goal is to help you gain not only the Japanese skills but also the cultural awareness necessary to navigate in situations in which you need to use Japanese. I make it possible by customizing lessons with right materials. I teach students of all ages who is committed to learning the language at least for six month. To learn more about my lessons, please watch a video titled "How My Lessons Work" below. First lesson far exceeded expectations. Can`t wait for lesson 2. I have been taking Japanese lessons with Taro Sensei for about 5 months. He is a very patient and organized instructor. He designs the teaching material based on my specific level and goals. I enjoy the fun conversation with him during every lesson. My Japanese skill has improved gradually as time goes by. Thank you Taro Sensei. When I visted Japan this year, I owe it to him that I was able to have the amazing experiences I did. Because of him, I was able to understand the language, the culture, and have the confidence in speaking with locals. I appriciate all the help and encourgaement that he's provided. I grew up speaking both Japanese and English at home and understand the difficulty of trying to juggle both languages! Whether you want to learn a new language, or simply want to brush up on your Japanese skills, I am always happy to be of help! Lessons will include reading, writing, listening, and speaking (both formal and colloquial styles). I typically use the Genki and Tobira books and also like to introduce students to classic and modern Japanese literature as a way to enhance the students’ cultural knowledge. I welcome beginning and intermediate Japanese students! practice methods into each lesson, so students can practice efficiently and prevent injuries! I grew up speaking both Japanese and English and welcome beginning Japanese students! Students and I work out of the Genki I, Genki II, and the Tobira textbooks. Japanese lessons focus on reading, writing, and speaking standard Japanese at the conversational level. My son enjoys the classes with Mona. She is amazing! My son is learning Japanese, and he is eager to improve every class. Hi, I’ve taught Japanese since 2002 and I’ve always enjoyed teaching and interacting with students. I have taught American adults and college students for over 5 years now. Teaching Japanese to American military personnel and spouses who were stationed in Japan was the most rewarding experiences I’ve had. They truly needed the language skills to live in Japan, and they really appreciated that they were able to learn survival Japanese that’s instantly useful out in town. I grew up in Japan and came to US to go to college. Since I was a college student, I taught Japanese to middle and high school students during summer in Japan. I have a Master of Education in TESL. Yes, I used to teach English more vigorously, but I found teaching Japanese more rewarding. I teach all levels including those who are starting out and also want to improve their fluency and understand the culture and history! I’m looking forward to working with whoever is interested in my language :) Thank you!! I started my teaching career when I was a college student. In Japan, I taught both English and Japanese to middle and high school students at a private academy. I have also taught Japanese to adults especially the spouses stationed in Japan and also community college. I have the Master of Education in TESL; therefore, I’ve taught English more vigorously, but know what it takes to be successful at second language acquisition. I really find it rewarding to teach those who are interested in Japanese language and culture. I like to get to know your learning styles and what motivates you. I will cater to your needs and make your own lesson plan just for you. an opportunity to widen your view of the world! I’ve also played the piano since I was 3 years old and have the Yamaha certification; therefore, I teach piano too. I also love to play!! I have learned so much with Ai's help in just a few months; she's a wonderful teacher! Very patient! Understanding! Thank you!! The Japanese language and everything about Japan has been a central part of my existence for most of my life. As I mastered Japanese I went through the same problems you will and that's why I can accelerate your learning speed. I know strategies and ways that helped me navigate this tricky language so you reach your goals fast. I am looking forward to working with you to achieve your goals! Japanese and everything about Japan is my passion. I first started learning Japanese in high school and studied abroad in Japan through AFS for a year while living with a host family. While I was there I passed level 2 of the Japanese Language Proficiency Test (JLPT), a first for any AFS student at the time. I went on to attend the Japanese language school Yamasa in Aichi, Prefecture and then passed level 1 of the JLPT at age 20. Afterward, I attended Nanzan University where I graduated from the Business Management Department in 2009. Since graduating I have worked as a freelance translator and interpreter for 9 years. university or work in Japan. Unlike a native Japanese speaker, I am able to systematically explain grammar and other technical areas in a way that will make sense. You can then quickly utilize these techniques to accelerate your own learning. Each lesson will be tailored to the specific area you would like to study and improve. If you would like to work on conversational Japanese for instance, I can teach you informal Japanese so you can have conversations with friends or dive deeper into a hobby you may have such as anime, J-pop or video games. Learning in a fun and relaxing atmosphere is important and will help you learn quicker and retain information. Having attended American school on the weekdays and a total-immersion Japanese school on the weekends (and coming home to parents who only spoke Japanese), I was lucky enough to grow up completely bi-lingual. With over a decade of experience teaching in private and classroom settings, I make my lessons fun, high-energy, and tailor-made to each individual. Please feel free to send me a message, and let's learn some Japanese! Yoroshiku onegaishimasu! Hello! I am a NYC-based singer, pianist, actress, and animal-lover. Born and raised in Los Angeles, my artistic career began as a classical pianist, performing in venues across California, Japan, and Austria from a very young age. As a singer, I performed around the world with the Broadway tour of Avenue Q, and I've been seen in dozens of musical theatre and Shakespeare productions throughout the U.S. and even in Russia! By combining my two passions of singing and playing piano, I served as Artist-in-Residence for California Musical Theatre Company, Sacramento Theatre Company, and the cell theatre in NY. I've been teaching in NYC for over a decade, and my passion is to inspire the next generation of creative people of all ages. s my philosophy on pursuing the arts: that it's never too late to start and that no matter where you are in your musical journey, practice is the key to success. Mastering a skill requires discipline and dedication, and my goal is to help you find joy and inspiration along the way. My lessons focus on building a strong foundation of technique, which gives you the freedom to explore your creativity and musicality; it is very important for me that my students strive not only for technical precision but also for musical artistry. Together, we will set a practice schedule that you can adhere to regularly, and I'll make sure to send you away with specific instructions each week on how to practice effectively. With my fun, high-energy approach to teaching, you are guaranteed to enjoy the journey as you take significant steps toward becoming an expert.​ I'm looking forward to meeting you and getting started soon! Amazing! Talented vocalist and pianist that communicates very well. Has great advice and wonderful personality. Great with kids. I met Laura at Harvard University when we were both doing our MFA degrees in acting. Since our program was not a Musical Theater one and I was not a singer, I started to take private lessons with her to compliment some of the training in singing we were getting there. Laura is a fantastic singer and actor. She has an incredible ear as well as great knowledge and experience of what makes a singing performance pop. All this makes her an outstanding coach. Even now after graduation, I am still training with her. Our focus now is on continuing the development of my singing voice. My goal is to reach a level where I have the skill and confidence to audition professionally for musicals, and I know I am in great hands. Laura is the best teacher ever!!! Not only is she an amazing performer, she generously shares her knowledge and talents with her students, and her lessons are super fun! Highly recommended! I am currently working as a Korean, ESL, and Japanese tutor. Because I am also a language learner (English and Japanese), I know why and in what area the students struggle when learning Japanese especially English and Korean speaking students. I am confident that I can help you to achieve your goal even if you speak languages other than English and Korean. I lived and worked in Kanto for 21 years where I managed education services with my wife. My objective is to prepare students to communicate and think in real, useable, holistic Japanese; and to enable you to teach yourself. My wife, who is Japanese, is available for advanced instruction. Learn to speak and read Japanese, have fun, and get to speak with a native Japanese speaker who only recently moved to the US. I was born and raised in Hiroshima prefecture, Japan. I have a long history of teaching English to Japanese students at the Junior and High School levels, and use my skills now to teach English speakers about Japanese language. My family was enthusiastic about international cultures, and so I became an English teacher in Japan. I taught English to Junior High School students in Osaka for more than 10 years. During this time I realized the importance of experiencing other cultures first-hand, so I went to the US and studied Psychology at the SUNY Buffalo, where I obtained a Bachelor Degree in 2003. Afterwards, I returned for more than 10 years to Japan, where I taught English at the Junior High and High School levels in Nagoya, and worked for the establishment of a General Consulate in Nagoya for the nation of Myanmar. About two years ago I returned back to the US, and I hope to share my international experiences and language skills with my students.